Since 2011, Shanghai design studio X+Living has provided its clients with some of the boldest immersive retail environments one can dream up. There have been bookstores with mirrored ceilings that give visitors the feeling they’re floating in a universe of books, and fashion emporiums where clothes hang from frames shaped like birdcages. 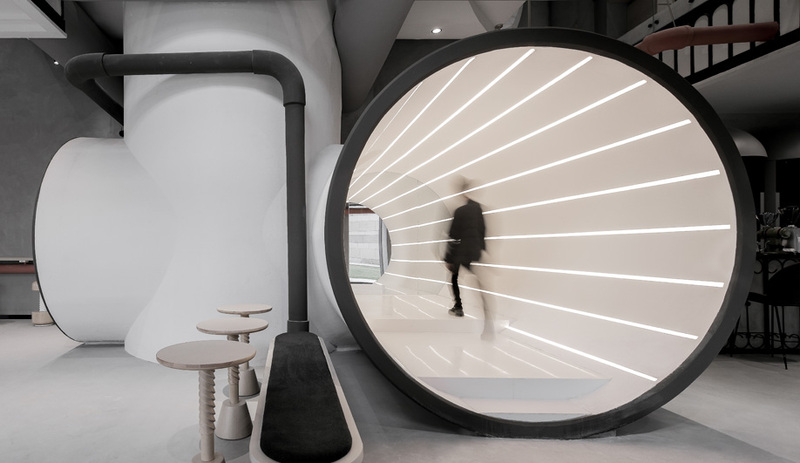 Founded by architect and designer Li Xiang, the young firm’s latest office and retail hybrid is just as dramatic, so much so that it’s hard to discern what it is exactly. Submarine-like tanks are suspended from the ceiling, rosy-hued spiral stairs lead to a semi-open second floor, and a giant pipe set on its side functions as an illuminated walkway. 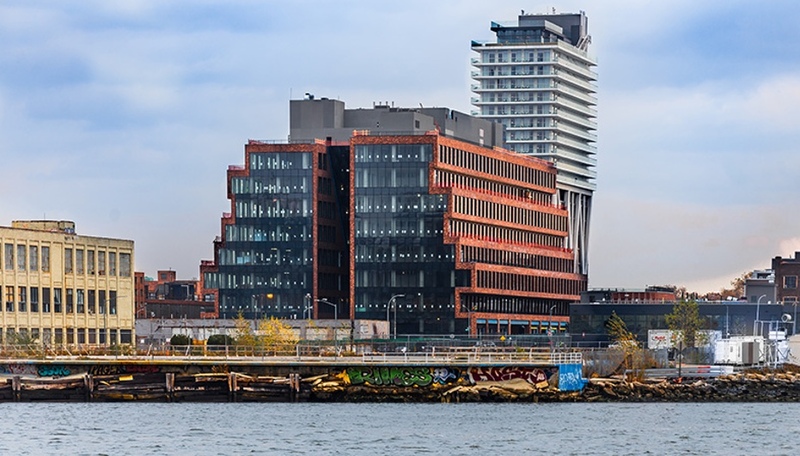 Called Ideas Lab, the 1,100-square-metre space serves as a dynamic communal hub where research and development staff connect with customers to learn and explore the future and the Internet of Things. 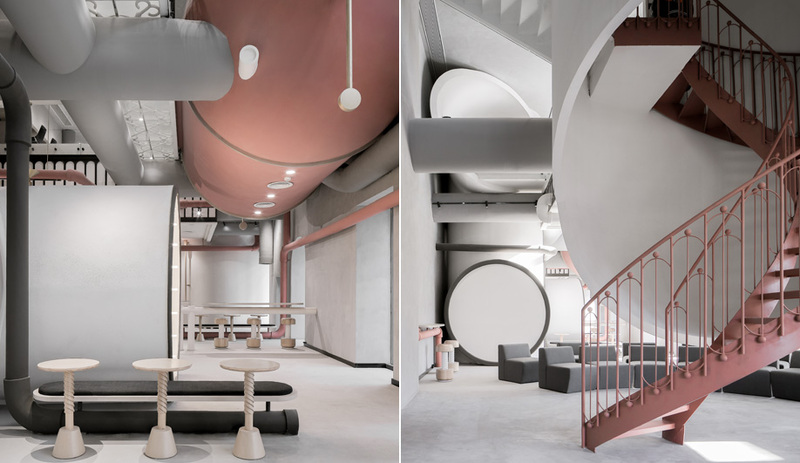 A giant pink tank hangs from the ceiling at Ideas Lab, a Shanghai concept space that merges retail with research and development. 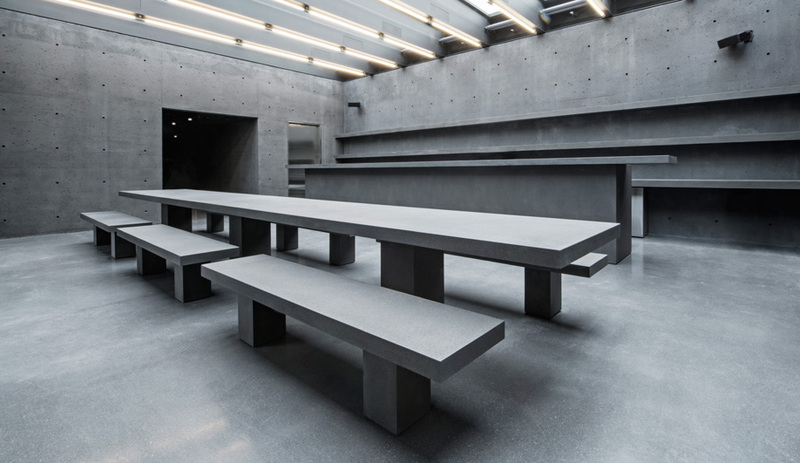 Soft curves, pink finishes and feminine details contrast with a backdrop of unpolished concrete walls and floor. The loose concept is backed by China’s Powerlong Group, whose business interests, including real estate, hospitality, tourism, culture and the arts, are vast. To give the multipurpose space its form and a narrative, X+Living channelled elements from another era of enlightenment, the Age of Steam. Xiang considers the current Information Age to be just as revolutionary as the birth of industry. “It’s the engine of capitalism,” she says. X+Living’s interiors are the stuff of fantasy. Opposite, a large illuminated tube functions as a walkway between spaces. The wooden bar stools are also the work of X+Living. To reinforce those parallels, Xiang incorporated some of the trappings of the Industrial Revolution, but in a playful and contemporary way. The oversized tanks, winding stairs and walkways allude to bygone factories, and what look like steam pipes are actually conduits that hide electrical wires and technology cables. Glass railings help to maintain a visual connection between the upper-level office space and the retail floor below. 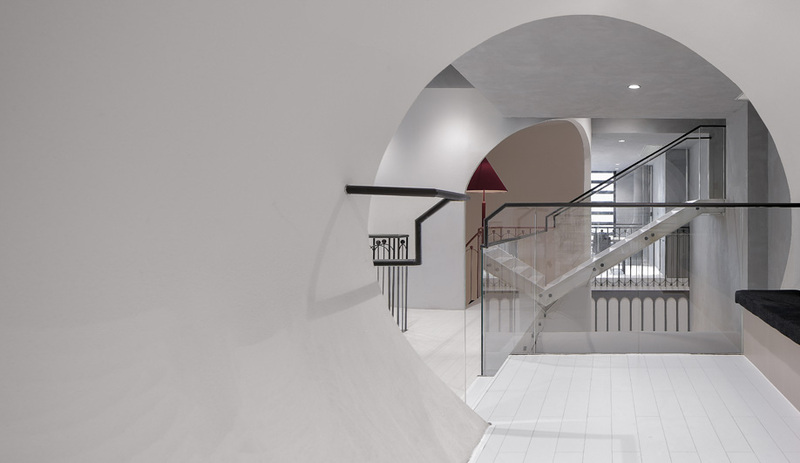 To execute the interior, the studio demolished the floor slab between two existing storeys, creating a spacious and intriguing ground level for various types of interactive retail experiences. 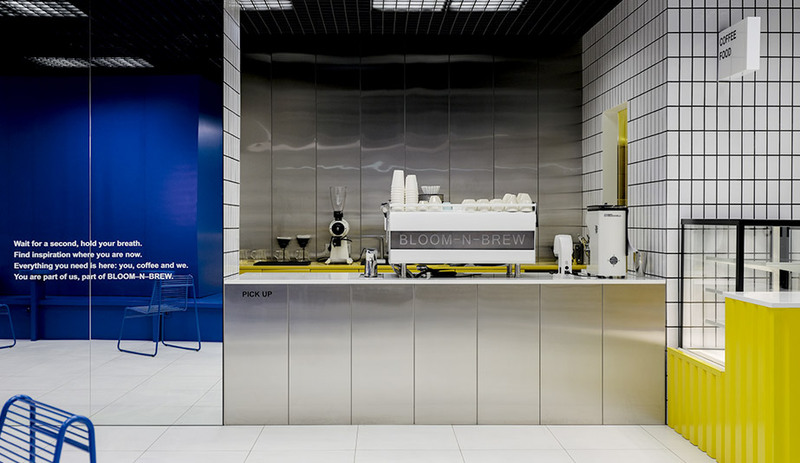 While the idea is for customers to connect with technology and contemplate the future, it’s easy to imagine the space being mistaken for an Edwardian theatrical set.